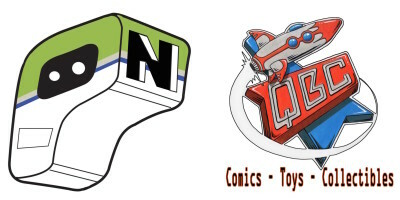 For the last six issues, we have seen glimpses and piece of the life and untimely death of the Black Hammer, the crux of the super hero community. With this issue, we see not only how the Black Hammer came to be, but how he ultimately met his fate. From Jeff Lemire, Dean Ormston and Dave Stewart, this issue revolves around Joe Weber, the man who became the Black Hammer. We get a throwback homage to Jack Kirby with the origin of the Black Hammer, which all feels very reminiscent of the New Gods. That, in part, is what makes this title so great. Taking these well known archetypes and infusing them with the humanity that Lemire writes so well, it makes for a very entertaining, and emotional book. This story gets told due to Joe’s daughter, Lucy, finding her way to the town that has the rest of the heroes marooned. How did she get there, and what will it mean for the rest of the group? So many more questions are poised now that the mystery of the Black Hammer’s disappearance is unraveled. Ormston and Stewart’s work here is amazing, and those last few pages throw a complete loop in the series. The designs, the color choices, it all works extremely well with this ode to the golden age. Black Hammer is my favorite Dark Horse comic on the shelves today, and rightfully so. It is a super hero epic that shows the human side of these larger than life characters, which allows for us, the readers, to connect that much more. 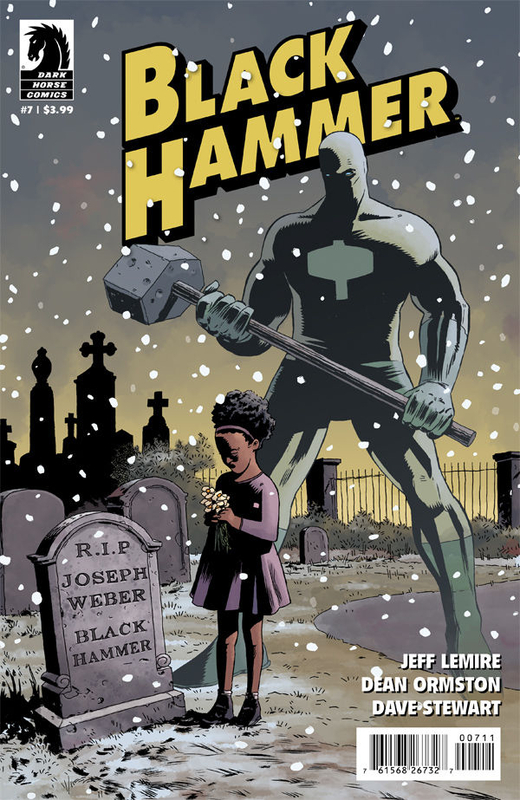 If you haven’t given it a shot yet, now is the time to jump on board with Black Hammer.